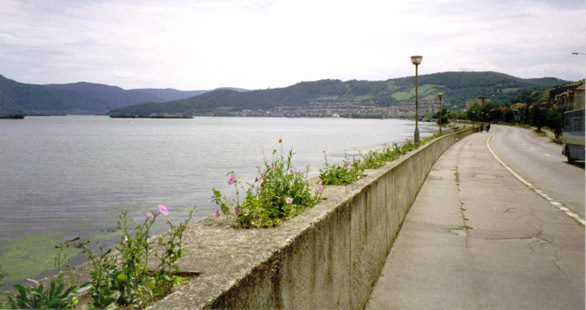 There are four gorges or gates in the Iron Gates of the Donau. 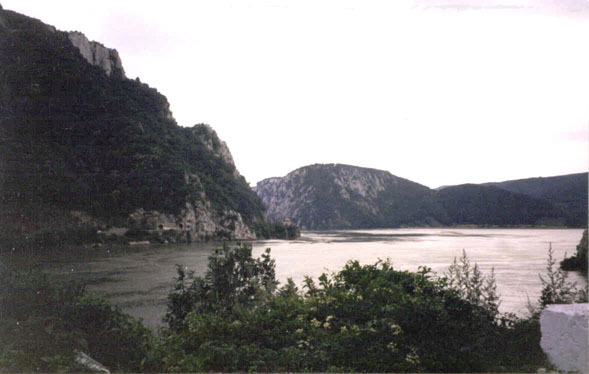 The gorges are numbered as though you were going down them in a boat, with the second gorge downstream of the first and so on. They are displayed here as you would see them if you were going upstream. The Fourth Iron Gate, seen looking downstream. 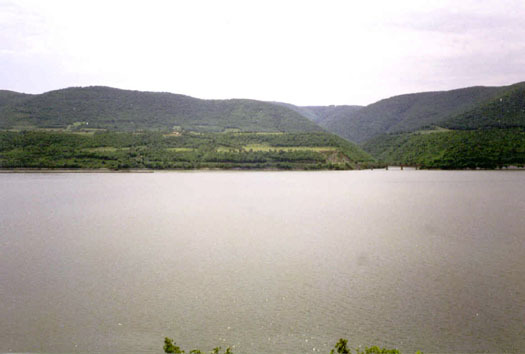 Photograph taken two kilometres above the Iron Gates dam, which raised the water level of the entire four Iron Gates Gorges, submerging many archaeological sites. 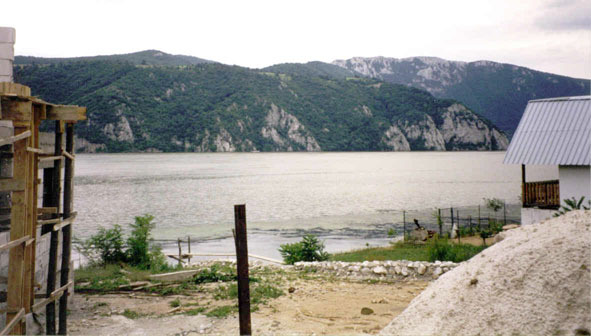 Above Iron Gates Four, looking South to Serbia. 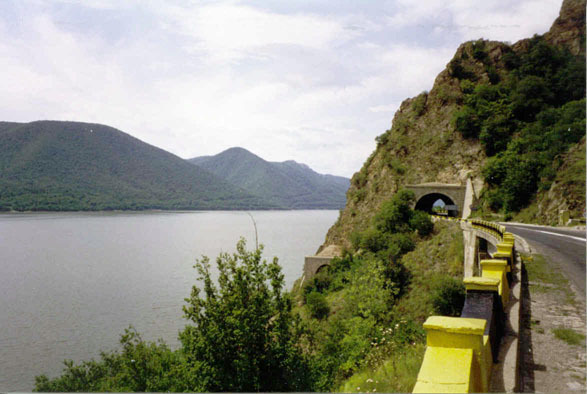 Two kilometres above the Iron Gates dam. Photo: Per 1998 33A Above Iron Gates Four, looking upstream towards Orsova. Two kilometres above the Iron Gates dam. 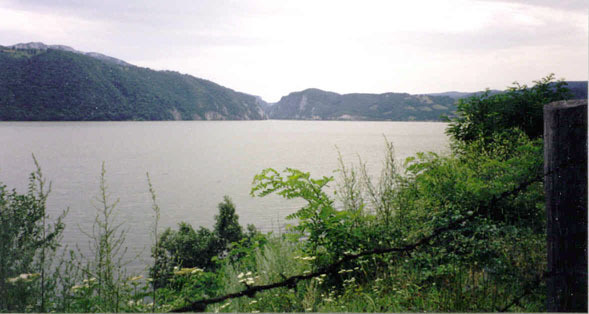 View of the Third Iron Gate, looking upstream towards Orsova, the buildings on the ridge above the Donau. 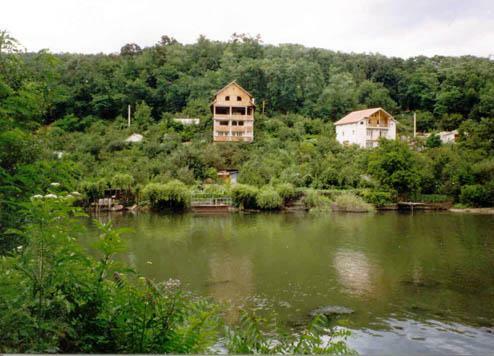 Looking across the Cerna River, which passes through Orsova. It is the river followed on the other side by Ayla and Jondalar on their way over the ridges towards the Sister River after leaving the Sharamudoi. 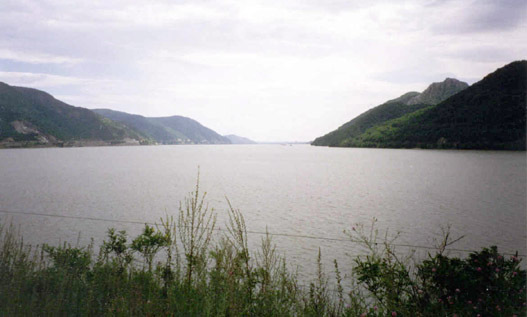 Between Gates Two and Three, looking upstream across the Donau to Serbia. Near Plavisevita. 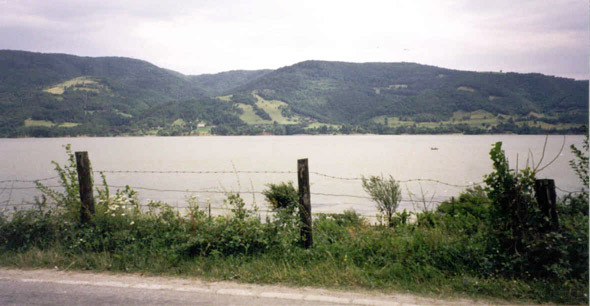 Between Gates Two and Three, looking across the Donau to Serbia. Possibly Golubinje on the other side. Between Gates Two and Three, looking upstream. Possibly the Zlata River entering on the other side. Between Gates Two and Three, looking upstream. Possibly in the region of Vlasac (on the other side). 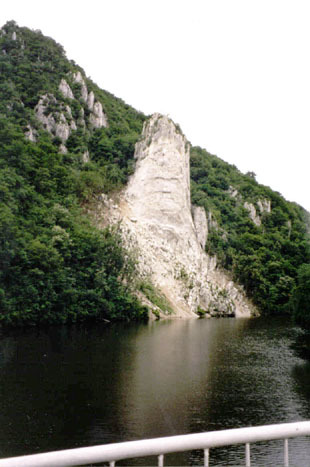 Pillar of rock on side of gorge. The gorge is quite narrow here, at Iron Gates Two. Possibly near Ilisova. Entrance to Iron Gate Two. Possibly Padina on the other side. Looking downstream. Looking downstream between Iron Gates One and Two. 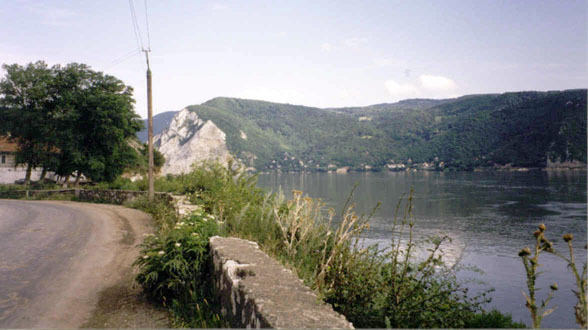 Near Berzasca. 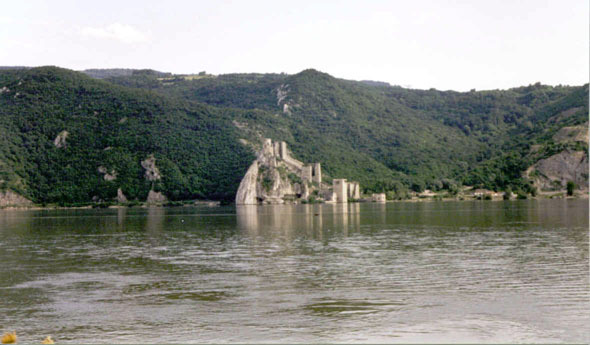 Entrance to the First Iron Gate and showing the ancient fort of Golubac, built in the 13th Century and used for customs (taxes) for boats plying the river. Near Livaditei, above Alibeg, looking slightly upstream. 200 m above the entrance to Iron Gate One, looking downstream. Near Privod.